Demand for new buses and coaches declines -5.6% in 2018, with 7,236 vehicles joining UK roads. 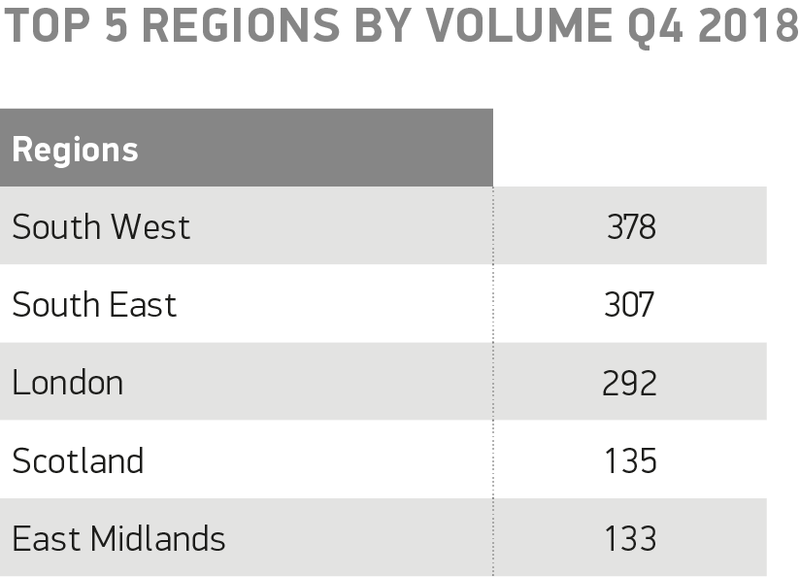 Minibus registrations grow 5.0% but can’t offset substantial declines for single and double-deckers. 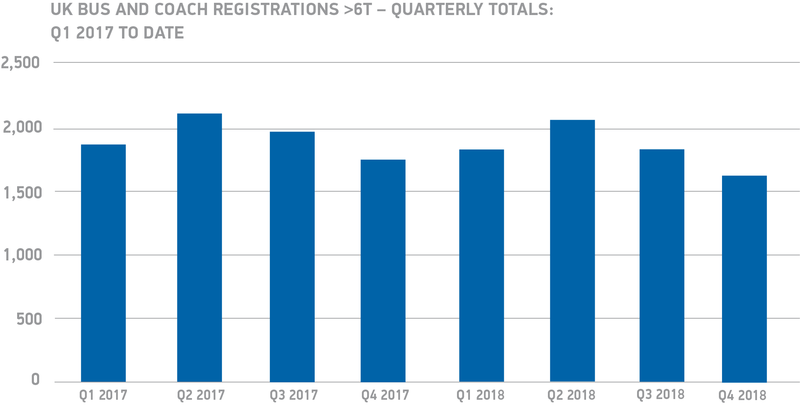 1,594 units registered in Q4, down -5.6% on same period in 2018 and marking eighth quarterly fall. The UK new bus and coach market fell by -5.6% in 2018, with annual registrations falling for a second consecutive year to 7,236 units, according to figures released today by the Society of Motor Manufacturers and Traders (SMMT). A -5.6% drop in the final three months of the year marked the eighth straight quarter of decline as local authority budget cuts and uncertainty over local Clean Air Zone plans continued to affect operator confidence. Quarter four performance saw a steep fall in demand for double-decks, down by more than a third (-34.6%), although the minibus and single-deck segments both grew, by +0.9% and +14.3% respectively. Rising minibus registrations were the market’s good news story for 2018, with demand for these smaller vehicles growing by +5.0% in the year to 4,023 units as operators downsized and downscaled investments. However, this was not enough to offset significant declines in demand for single and double-deck buses, falling by -8.5% and -26.8% respectively. A second year of decline for the bus and coach sector is extremely concerning. While the market is cyclical, there’s no doubt that a squeeze on local government spending, general economic uncertainty, and confusion surrounding a patchwork of differing Clean Air Zones have taken their toll on operator confidence. While the recently announced ultra-low emission bus fund is a step in the right direction, wider incentives aligned with the right business conditions are required to encourage fleet renewal and get more of the latest, lowest emission buses and coaches onto local roads.